After months of anticipation, the naked mole-rat colony at the Small Mammal House at the Smithsonian’s National Zoo finally has a queen—the only breeding female in a colony. A female gave birth to three pups today, Dec. 17, and all have been visible on the naked mole-rat webcam throughout the day. 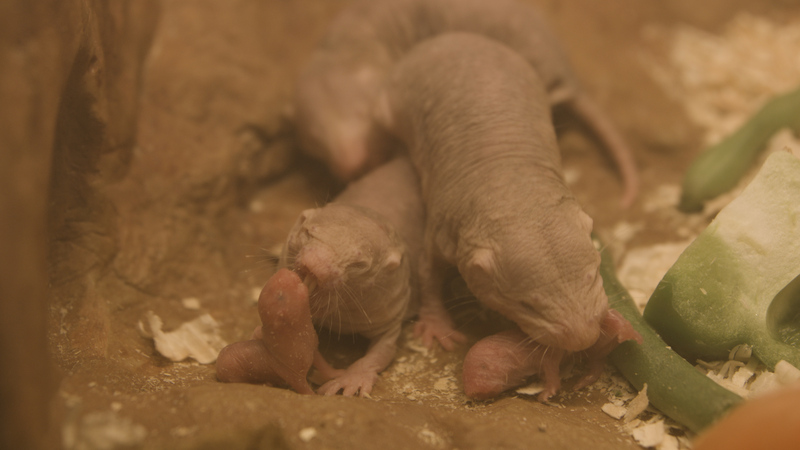 The births confirmed the female’s status as queen (visit the Zoo’s naked mole-rat pup FAQ for more information). Naked mole-rats are only one of two mammalian species that are eusocial—or live in a colony. All of the other members of the colony are workers. The social structure is unusual for a mammal species. The Zoo’s relatively young colony arrived earlier this year from the San Diego Zoo, but they had not yet selected a queen. However, one female was larger than all the other naked mole-rats and seemed to be the front-runner for becoming queen, and this morning she did. The pups are about the size of a jelly bean and are doing well so far. Keepers are hopeful, but extremely cautious that the colony will continue to care for the pups and that they will thrive. The last time naked mole-rats were born at the Zoo and survived was in 1996. Naked mole-rats are native to eastern Africa and are listed as a species of “least concern” by the International Union for Conservation of Nature. Their burrows and tunnel systems are found in grassy and semi-arid regions in Ethiopia, Somalia, Kenya and Dijbouti. 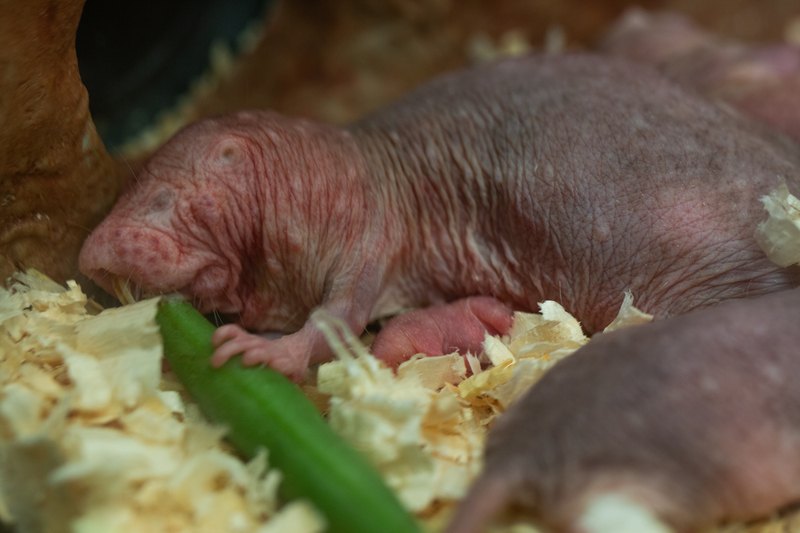 The naked mole-rats, including the pups, live at the Small Mammal House. It is open from 9 a.m. to 4 p.m. The Naked Mole-rat Cam broadcasts a live look at the colony 24 hours a day. The Zoo will provide updates on the colony on Facebook, Twitter and Instagram.